I have to say that Upper Artifacts produces cards that defy the price points found in Beckett magazine. The designs of the cards are stellar and make you feel like you are holding something truly special. However this has to one of those cards that made me scratch my head. Check this out. 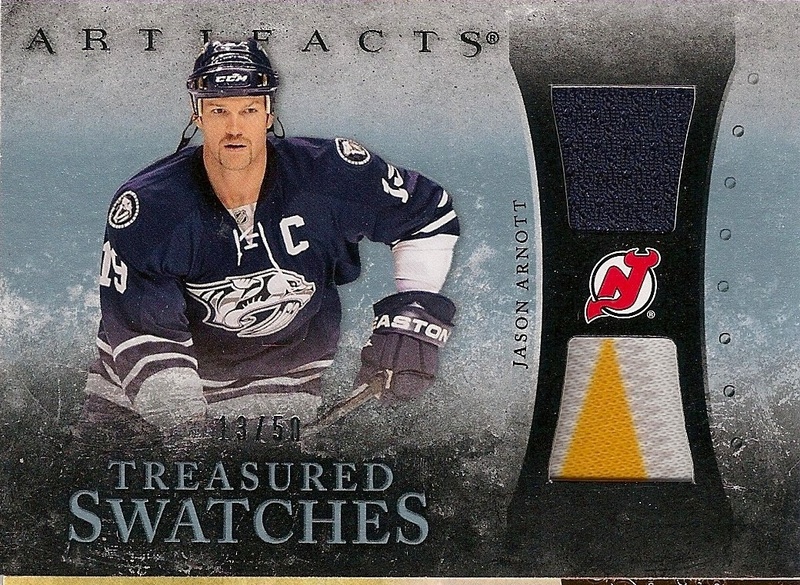 It’s 2010-11 Upper Deck Artifacts Treasured Swatches Jersey patch card. Jason is wearing a Predators jersey, the logo on the card is of the NJ Devils and the patch is clearly from a Nashville Predators Jersey lol..